As public works employees come and go, past research efforts — and the valuable knowledge gained — often goes with them. But a recently launched web application allows users to track innovative pavement projects for a lifetime. “It’s something everyone has always said we need to have,” said MnDOT Research Operations Engineer Jerry Geib, who worked on the project for the Minnesota Local Road Research Board. Using an online map, city and county engineers can enter road test sections that they want to observe for many years due to a particular construction method or material that was used. Too often, the knowledge about such projects is lost when a particular staff person leaves an agency. Not only will the lessons learned be remembered within the organization, but the results can also be shared with others. 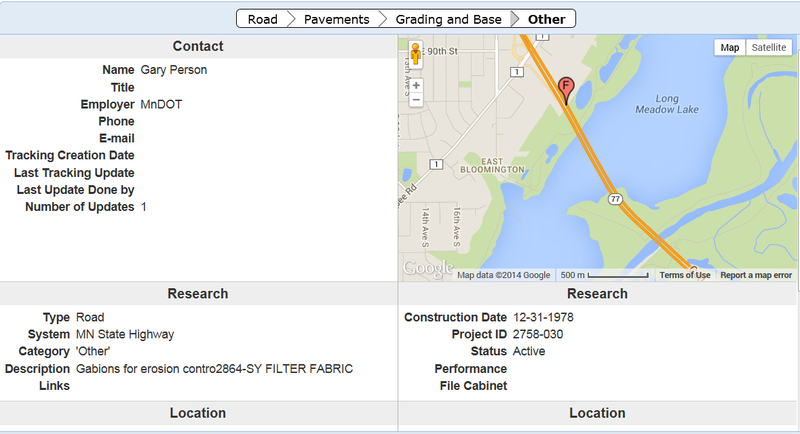 More than 1,400 projects (including some on state roads) previously identified by MnDOT have been entered into the system. Search fields allow users to look for a particular type of project anywhere in the state or they can zero the map in on a particular area of the state. The website is still in beta form, but functional. “It’s complete, we just want people to use it so we can improve it,” said MnDOT Research Project Engineer Melissa Cole, who began planning the site two years ago. 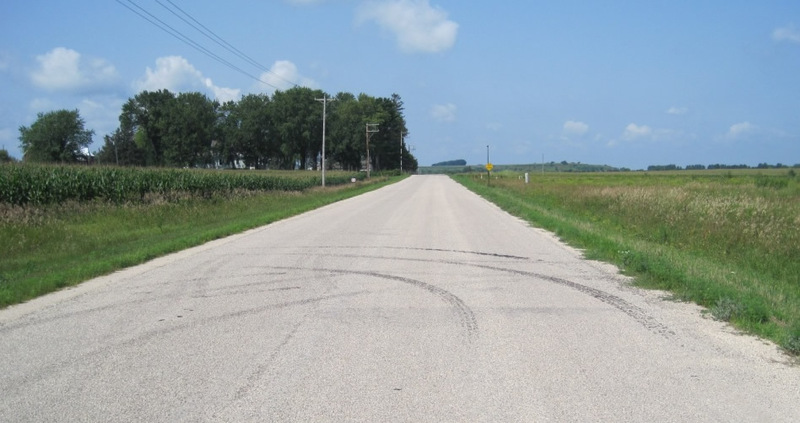 One featured project is a 1.8-mile section of dirt road in Wabasha County that had an Otta seal applied in 2007 (photo below). It is one of only a handful of lightly surfaced roads in the state (an improvement over a gravel road, but less expensive than asphalt ) so there is great interest in watching how it performs. One of the projects being tracked is Wabasha County Road 73, one of only a handful of lightly surfaced (Otta seal) roads in the state. The LRRB initiated the project in 2009, but it was put on the back burner for a while due to funding constraints. MnDOT ‘s technology staff began development of the current site about 11 months ago. Anyone can look at the website, but cities and counties require permission to post projects (contact ResearchTracking.DOT@state.mn.us for credentials). They can upload photos, plans and weblinks relating to a particular project. “We want to track anything that is worthy of looking at a few years from now,” Geib said. Because the website uses Google maps, users can also view archived satellite and ground-level 360-degree imagery of the roads and bridges. The website is viewable on a tablet, but it still must be tested on smart phones. Developers hope that crews will be able to submit information right from the field. The website might eventually be expanded for other areas, such as geotechnical (foundation work), whose practitioners have already expressed an interest. A rumble strip applied to a center line on Highway 14 near New Ulm in 2004 is one of the projects being tracked.